Swiss Schiffli embroidery highlights this collection of finely tailored garments, constructed of 100% Fortrel Polyester with a linen weave for easy care and durability. 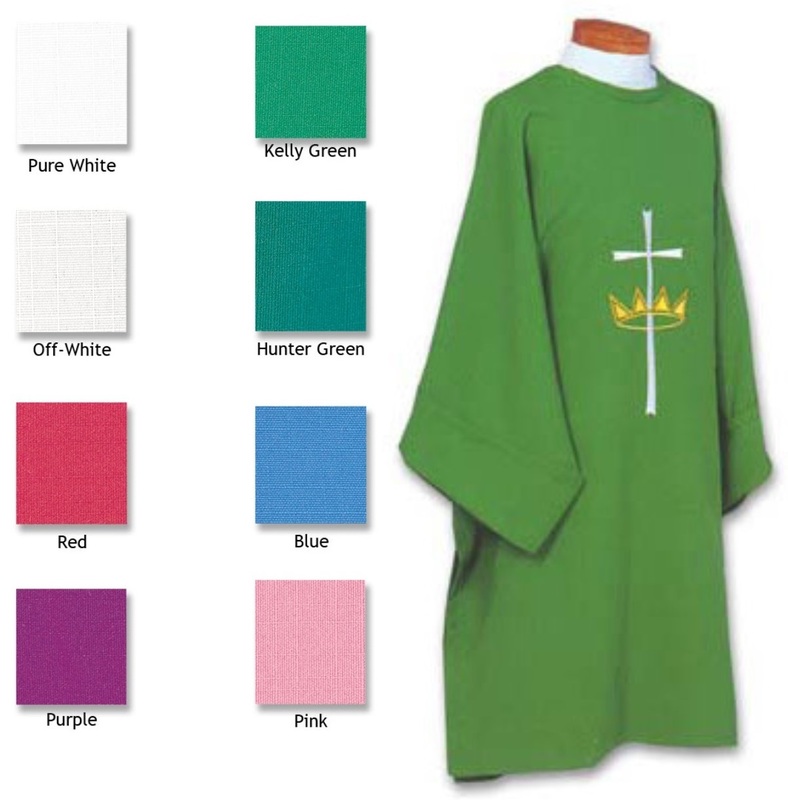 Plain matching Deacon Stoles are also available to compliment this collection. Available in ALL LITURGICAL COLOURS. 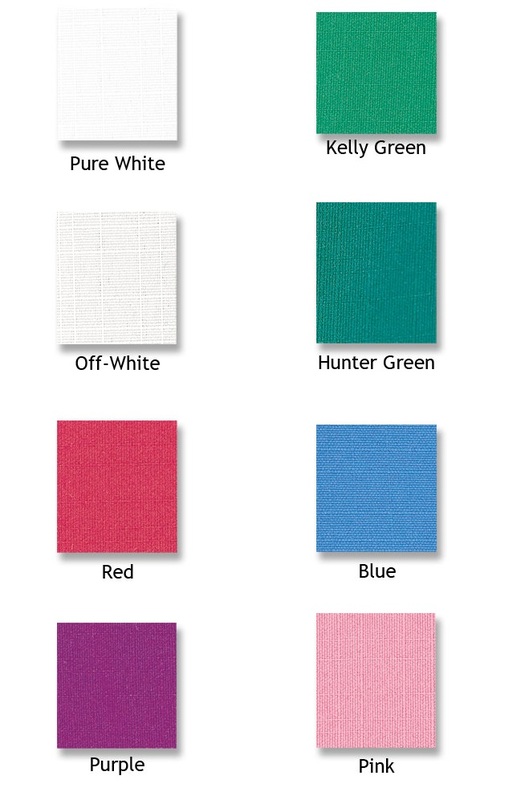 Chose from Pure-White, Off-White, Red, Purple, Kelly Green, Hunter Green, Blue, and Rose. See Colour Chart by clicking the "Images" tab Above.